Taking on the mantle of Civil Service Live is a mildly daunting task, especially as a brand new civil servant! Heading into its 12th year, Civil Service Live has gone from strength to strength. Civil Service Live 2019 is set to be the biggest yet, playing host to close to 20,000 civil servants in seven cities across the country over eight event days. As an events manager, I have always believed that an excellent event lives and dies by its content. By that, I mean content that tells a story, that has a clear purpose and simple, achievable objectives. For Civil Service Live, that comes down to three words – educate, engage, inspire. Civil Service Live 2019 will be bigger, yes. But it will also come with some changes, adding up to a distinctive identity that links it – both visually and as an experience – with the vision of ‘A Brilliant Civil Service’. What can you look forward to? A new website, more interactive sessions, less paper and more opportunities for civil servants to network, engage with colleagues and leave having learnt something new and inspiring they can take back to their jobs. I can imagine the value of education, encouragement and inspiring that Civil service Live aims at by reading this brief and can only envy those participating in person in the event. It must be satisfying to the Organisers and profitable to the participants. It must be really great to be part of such an event. Thank you. Thanks for your enquiry. 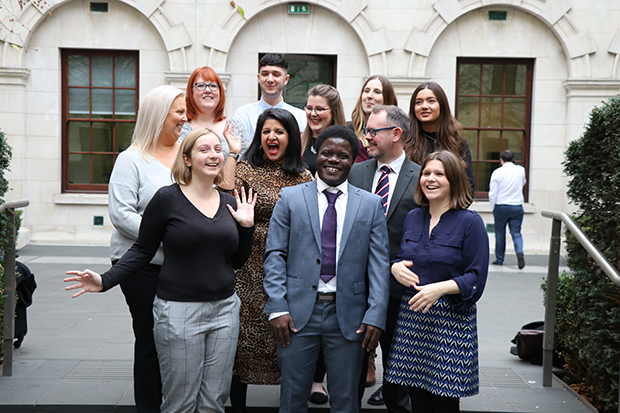 The Civil Service Live team are always looking for volunteers but there are several ways you can get involved in the events, including taking part in spot mentoring and using CS Live Connect to network with civil servants from other parts of government. You can see these, and sign up to volunteer, on the CS Live 'How can I get involved?' page. If You have never attended, you cannot judge its value. So consider attending this year, if for no other reason then informing yourself of its purpose. if you have previously attended and are still considering if you might attend this year, then you could ask yourself the question how are you currently responding to change. First think about your career within the civil service and secondly on a more personal level, about what your response is to living in Britain in 2019. Your response can be as simple or complex as you wish to make it. Only you need to know the answer. I thoroughly value the importance of education and I do not believe that the younger population of the country know enough about what is going on within our country or government& I think it is highly important that schools, colleges even universities should enforce this information to be learnt and understood. I genuinely believe that is why not as many of the younger population vote. Just reading the briefs, it shows the dedication& encouragement within the Civil Service. I attended my first Civil Service Live event in London 2 years ago. I always thought along the lines of 'It will all be managers chatting', 'They will be discussing things that are over my head', 'They won't be wanting E2s to attend'. Well, I am happy to admit I was wrong, there is something for everyone. The choice of lectures covers all grades, are very informative without blinding you with science, and I guarantee you will come away more enlightened than you arrived. I met people from all over the Civil Service, in fact I learnt how diverse the Civil Service was as there were branches I did not know even existed. I discovered that 'networking' is not just for managers, it is a great way to be able to talk to others in the same job position as you. To discuss ways of working and to be at the end of a Skype call to give each other help. So I say to ALL grades, book up and attend, you will be amazed what you will learn.